Christopher M. Laquer focuses his practice on multi-employer trust funds established under collective bargaining agreements. He advises the Boards of Trustees which are responsible for complying with ERISA, the Internal Revenue Code and other Federal laws. He also represents trustees in litigation. Mr. Laquer’s clients include some of the country’s largest Taft-Hartley funds, as well as single employer funds. Mr. Laquer works closely with trustees to ensure fiduciary and regulatory compliance with a myriad of ever-increasing rulings issued by the IRS, Department of Labor/Employee Benefits Security Administration, Pension Benefit Guaranty Corporation and other federal regulatory entities. 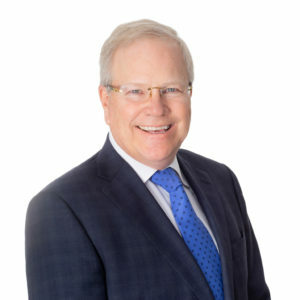 His clients look to him for guidance in avoiding prohibited transactions and fiduciary liability. Recognized for his knowledge of delinquency collections, he advises the trustees and their staff on both compliance with, and enforcement of, procedures for collecting delinquent contributions. He represents funds in lawsuits to collect employer contributions, or for overpayment or fraud. He has also represented the funds in suits brought by participants for disputed benefits. In addition, Mr. Laquer represents trustees in complex litigation, appeals, and regulatory audits by the Department of Labor. Mr. Laquer also works closely with the funds and their real estate advisors on their industrial and commercial real estate investments, including the development, sale or acquisition of assets. Mr. Laquer received his Juris Doctor degree from Temple University School of Law in Philadelphia, and is an honors graduate from Haverford College in Haverford, Pennsylvania. He is a member of the State Bar of California, and is admitted in all of the U.S. District Courts of California, as well as the Court of Appeals for the 9th Circuit and the United States Supreme Court.